Legal: Let me first start by saying that Biofeedback Therapy does not diagnose, treat, prescribe for, or cure any disease or condition. Please consult your preferred healthcare provider or veterinarian when making health choices for yourself, your family, or your animals. 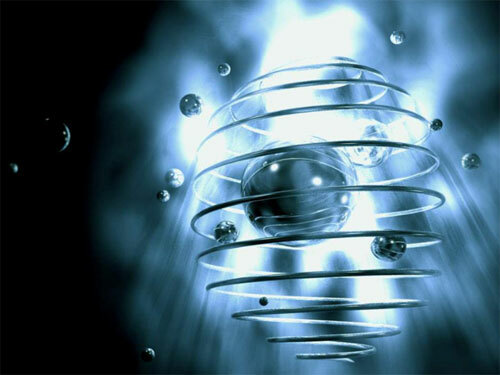 Atoms are more empty space than solid particles. What is Biofeedback Therapy? Biofeedback Therapy differs from pharmaceuticals and nutrients in that those work on biochemistry where Biofeedback works on biophysics. If you recall from science class, everything is made up of atoms. Atoms contain a nucleus, protons, neutrons, and electrons. The amount of space in an atom is significantly greater than the amount of solids in an atom but because the protons, neutrons, and electrons are moving at such a rapid pace things (including people and animals) feel solid even though they are more space than solid. Since the particles in the atom are moving so quickly they create a vibration and that vibration creates an energetic frequency. The Quantum SCIO Biofeedback device simply detects stressors in the energetic frequencies of the person or animal and supplies a balancing or neutralizing frequency. Similar to Anti-Virus Software: Think about the anti-virus software on your computer. It scans endless amounts of code looking for code sequences that are problematic. The Quantum SCIO Biofeedback Device scans over 12,000 frequencies and looks for imbalances or impedances and then sends a corrective signal. How does it work? The Quantum SCIO works like a 2-way radio. It scans for a signal and then reads it, then based on the information it receives, it emits a signal in response. For example, if the SCIO detects the frequency of the pathogen that causes Lyme Disease, it will send the opposite frequency to neutralize the energy. Wired or Wireless: The Quantum SCIO device is capable of providing therapy on site or at a distance. Compare it to cable TV vs. satellite TV. Cable TV sends a frequency through a wire. Satellite TV sends a frequency through space. The TV receives the signal and broadcasts it to you. The SCIO can be attached via a series of wires/harnesses or it can work wirelessly through a transmitter on the device which is capable of both sending and receiving energetic frequencies. Most often, children and animals receive biofeedback from a wireless signal. What is it used for? 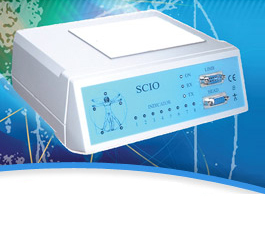 The Quantum SCIO Biofeedback Device can be used for energy balancing for countless imbalances of body, mind, or spirit. It has been used to recover from physical or emotional traumas as well as to remove stressful influences to allow the body to heal on its own. Schedule a consultation. If you have questions about biofeedback therapy or you would like to schedule a session for yourself, your family, or your animals please call 608-799-8326 or contact us online. Kate’s testimonial about how Quantum Biofeedback helped her son with migraine headaches. Jan’s Testimonial about Biofeedback & Wellness Coaching giving her renewed energy and a better outlook on life. Dan’s testimonial about how Quantum Biofeedback helped his physical and emotional pain. Kerry’s testimonial about how Quantum Biofeedback Therapy helped her shoulder pain.